An Honest Upfront Approach to Pricing. Larger Jobs that Take an Entire Day or More are Quoted in advance and are Based on a Day Rate which is Discounted Further. 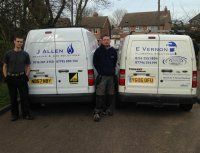 Please call Elliot on 07746 5141 99 or 0116 255 1804 to arrange a free quotation tailored to your needs.